This presents the interior of our buses. In the utmost luxury and comfort you will enjoy our buses with 5 awarded stars. 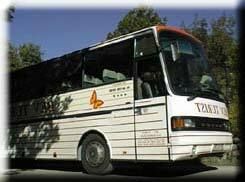 The air conditioning systems and the television sets will make your journey even more comfortable. Our service is always at the highest level and it is above average. 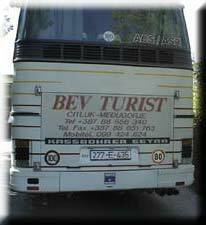 Travel comfortably, quickly and efficiently with BEV - Tourist! This is one of our buses. The buses have been awarded with 5 stars and they are of top-notch quality. 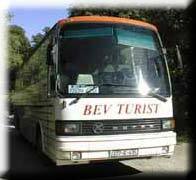 There is an option of renting of the buses as well at all the lines which suit you. 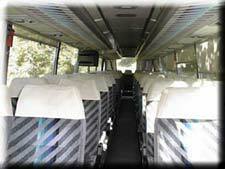 Minibuses have 20 up to 30 seats in addition to all the accompanying accessories. Our driving staff has been expertly trained for the job!